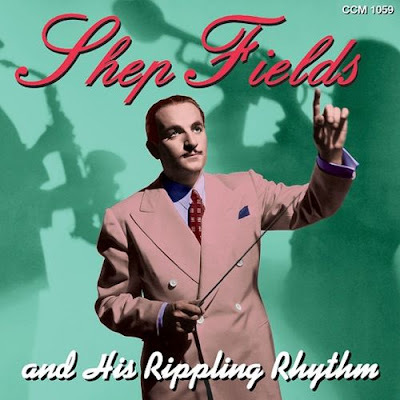 Shep Fields (September 12, 1910 – February 23, 1981) was the band leader for the "Shep Fields and His Rippling Rhythm" orchestra during the Big Band era of the 1930s. He was born in Brooklyn, New York on September 12, 1910, and his mother's maiden name was Sowalski. Edward Fields, a carpet manufacturer; and Freddie Fields were his brothers. Their father died at the age of 39.Shep was educated at Erasmus High School, Brooklyn, NY; then later attended St. John's University (Law School),Brooklyn, NY, for a year.He played the clarinet and tenor sax in bands during college. In 1931 he played at the Roseland Ballroom. By 1933 he led a band that played at Grossinger's Catskill Resort Hotel. 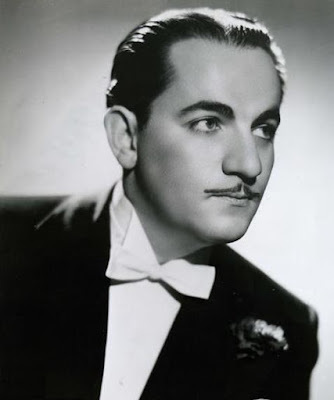 In 1934 he replaced the Jack Denny Orchestra at the Hotel Pierre in New York City. He left the Hotel Pierre to join a road-show with the dancers, Veloz and Yolanda. They toured though the US eastern seaboard also in Canada and Argentina, when he was offered his own NBC coast-to-coast radio broadcast in 1935. In 1936 he was booked at Chicago's Palmer House, and the concert was broadcast on radio. Fields was at a soda fountain when his wife was blowing bubbles into her soda through a straw, and that sound became his trademark that opened each of his shows. A contest was held in Chicago for fans to suggest a new name for the Fields band, in keeping with the new sound. The word "rippling" was suggested in more than one entry, and Fields came up with "Rippling Rhythm." In 1936 he received a recording contract with Bluebird Records. Fields' band was in the company's recording studios nearly every month for the first two years of his contract. His hits included "Cathedral in the Pines", "Did I Remember? ", and "Thanks for the Memory". 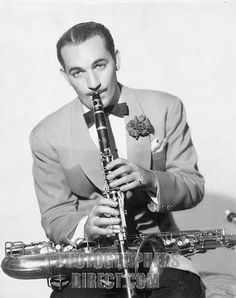 In 1937 Fields replaced Paul Whiteman in his time slot with a radio show called The Rippling Rhythm Revue with Bob Hope as the announcer. In 1938, Fields and Hope were featured in his first feature-length motion picture, The Big Broadcast of 1938. He conducted his orchestra at the Academy Awards ceremony in Los Angeles in 1939. In 1941 Fields revamped the band into an all-reeds group, with no brass section. "Shep Fields and His New Music," featuring band vocalist Ken Curtis. He continued to record for Bluebird and made a USO tour to Europe towards the end of World War II. 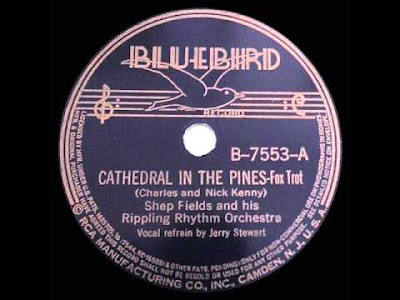 He reverted to "Rippling Rhythm" in 1947. Through the 1950s, he occasionally led his band for various venues, made recordings for MGM, Golden Crest, Jubilee and Dot. The group disbanded in 1963. He moved to Houston, Texas where he worked as a disc jockey. He later worked at Creative Management Associates with his brother Freddie Fields in Los Angeles. 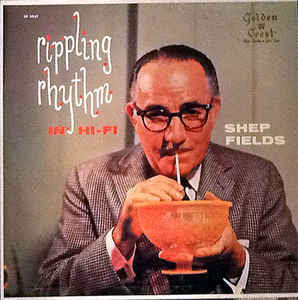 Shep Fields did make a brief return to music in 1977, lending his name for some new records commissioned by Reader's Digest. Of course, they opened with the "Rippling Rhythm" effect. He died on February 23, 1981 at Cedars-Sinai Medical Centre in Los Angeles from a heart attack. He was buried in Mount Hebron Cemetery in New York.